Massive in scale, broad in scope, and complex in structure, the federal market significantly influences the global economy as the largest consumer of goods and services on earth; FEFA’s edge is its quality service. FEFA draws on results-oriented methodologies and business savvy to bridge the gap between client needs and results. We set measurable performance standards to produce rapid results. 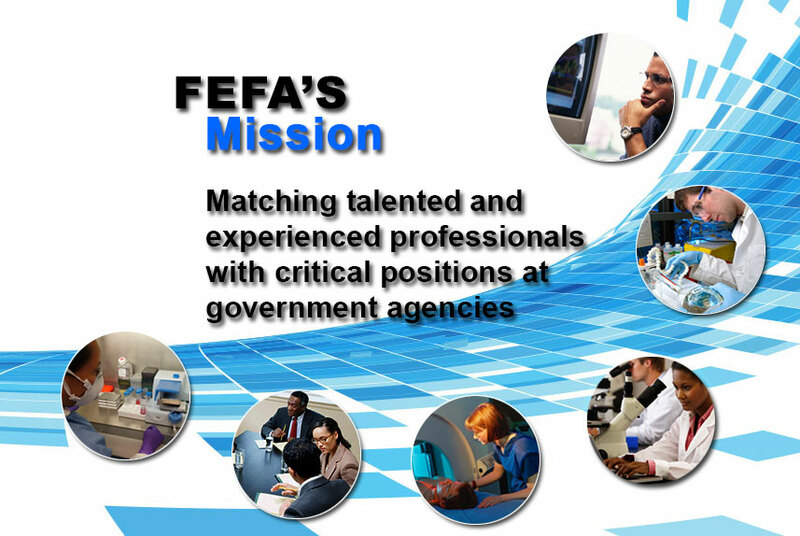 FEFA offers experienced professionals and innovative technology to successfully provide high-quality solutions to our government clients and complement to their core missions. FEFA is an ISO 9001:2015 Certified Corporation. We have established a process for meeting and exceeding the expectations and requirements of our clients. We also have a program to evaluate the quality of the services we provide. This enables FEFA to ensure that we are meeting all contractual obligations. Our diverse team of professionals draws on a mixture of results-oriented methodologies and business savvy that bridges the gap between client requirements and results. We set measurable, ambitious performance standards and produce rapid results. We focus on achieving and surpassing measurable objectives on time and within budget. FEFA provides clinical research services through a highly qualified staff. We partner with scientific and educational organizations to identify top candidates able to effectively staff our workforce with the best professionals in the industry. FEFA we believe in the importance of recruiting, selecting, developing and retaining quality personnel. Exceptional animal care requires the discipline to follow procedures and exercise good judgment in all situations. We set very high standards for staffing, training and performance expectations. Targeted training helps our staff learn new skills, update existing skills, and to apply industry best practices. Our training professionals create programs to meet the needs of the organization and FEFA’s rigorous standards. 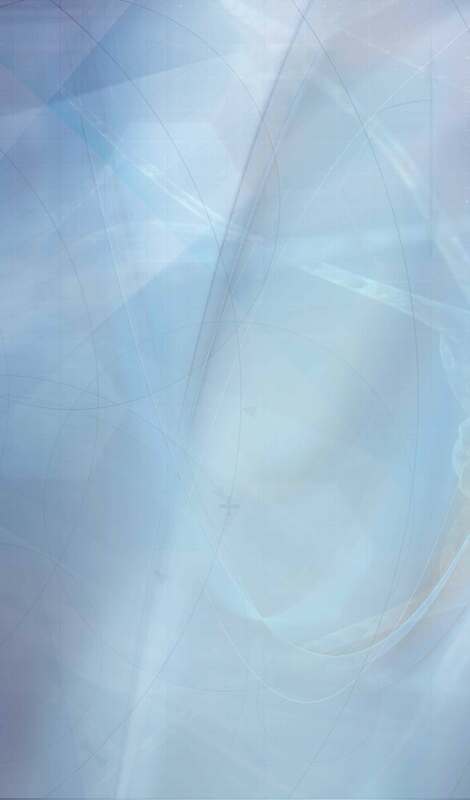 The FEFA team effectively applies a spiral learning solutions development approach from concept definition to project completion. 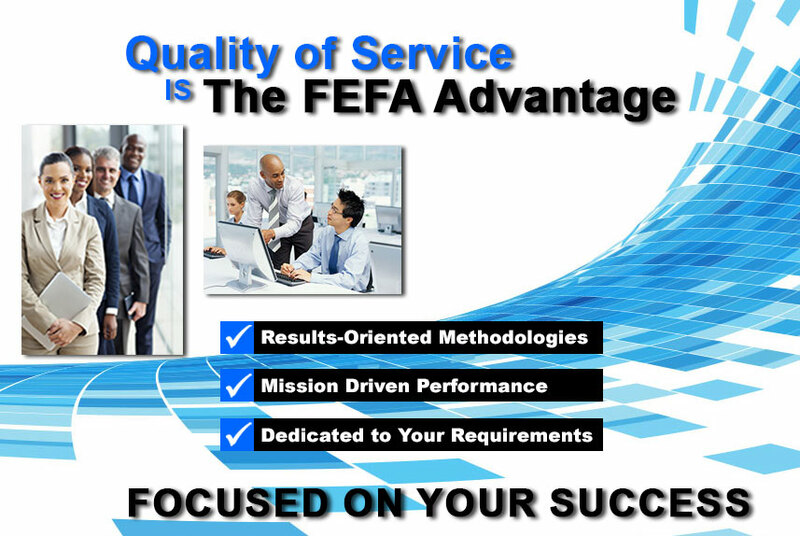 FEFA has an effective program management team that has mastered how to manage numerous, ongoing, simultaneous tasks. We know what it takes to coordinate and prioritize resources, build powerful teams that can ensure maximum program efficiency, and apply feedback for continuous process improvement. In a technology-driven world, computing resources and networks are our most vital assets. 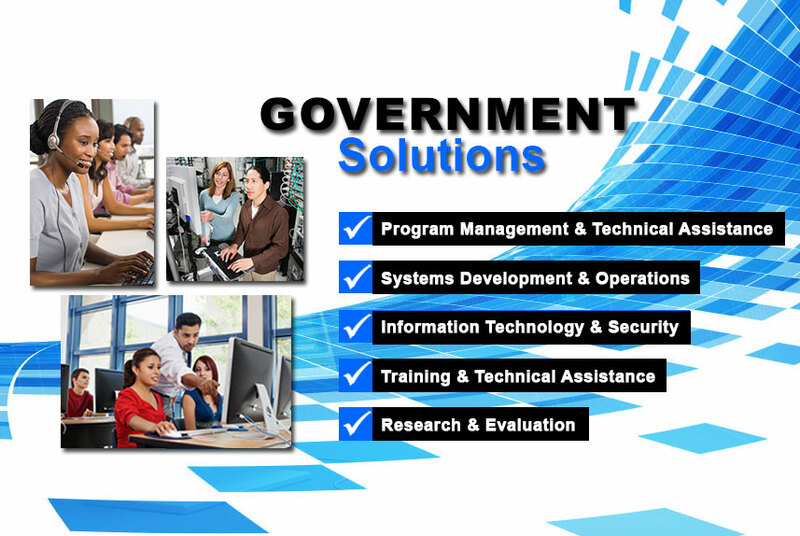 FEFA offers a full range of information technology (IT) services. In addition to improving data access and output, speed, and security, FEFA helps clients take full advantage of their technology. Everyone is touched by IT—ever expanding amounts of data, applications, databases, and the many regulations governing how that data is shared—permeate every business, but none more than healthcare. FEFA provides the tools needed in every phase of your implementation to design, build and run your health IT applications and ensure you have 24x7 uptime. © 2019 FEFA, INC. All Rights Reserved.